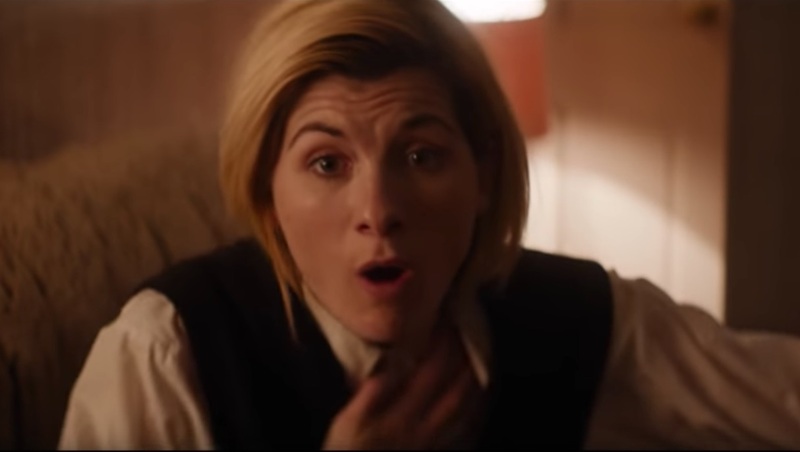 The second trailer of the new Doctor Who season is out, and we learn that Jodi Whittaker can say more than &apos;Brilliant&apos;. Cool. It&apos;s still obscure enough to not give us much clue about anything. We do learn it&apos;s all new this and all new that, which corresponds to a news article title saying the next season will be all-new monsters. What? No Daleks? No Cybermen? For more on the questions raised here see: Doctor #13, new faces/worlds/times means no old villians means what? Being geeks - we&apos;re going to examine this anyway, frame by frame, right? See below. What we are told is "New Faces ... New Worlds .... New Times ...."
That means an all new TARDIS crew. Probably we&apos;ll never see Madame Vastra again? And Strax? Strax was fun, and it&apos;ll be a shame to never see him again, but maybe that means a return to real Sontarans and not stay stuck in comedy Sontarans. Except ... New Worlds and New Monsters means a whole new cast of everything? No more Sontarans? We never get to hear Sontar-Ha! again? Actually my take of this is that we&apos;re being promised New This and New That, but they&apos;re obviously filming in Quarries. 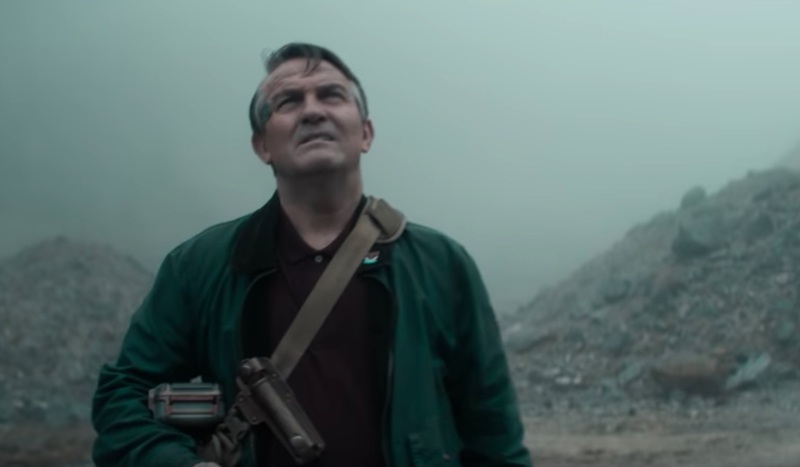 This is an old Doctor Who trope to use a Quarry to represent alien worlds. There&apos;s nothing new about going to a Quarry to film episodes. It&apos;s a lot cheaper than going to that island off the coast of Africa where they filmed some of Capaldi&apos;s episodes. Maybe what we end up getting won&apos;t be so New This and New That as we&apos;re being promised? Waking up scared .... maybe this is from the first episode of the season? 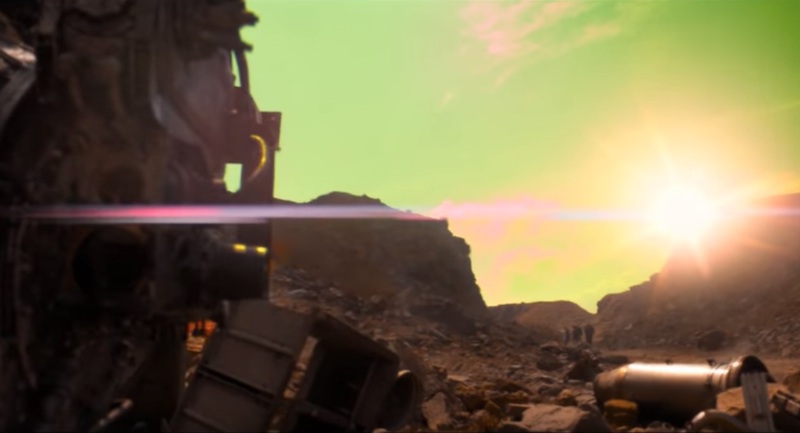 In the last episode of Capaldi&apos;s season we saw the TARDIS exploding, and Doctor #13 falling out in free fall towards a place that might or might not have been London. This suggests Doctor #13 will have a rough landing, and a rough regeneration, and therefore might wake up in this kind of shock. Or it could be their usuall subterfuge, and this is completely unrelated to the regeneration. As the Doctor and Companions are obviously walking through a Quarry. In Old Doctor Who alien worlds were often filmed in old quarries. 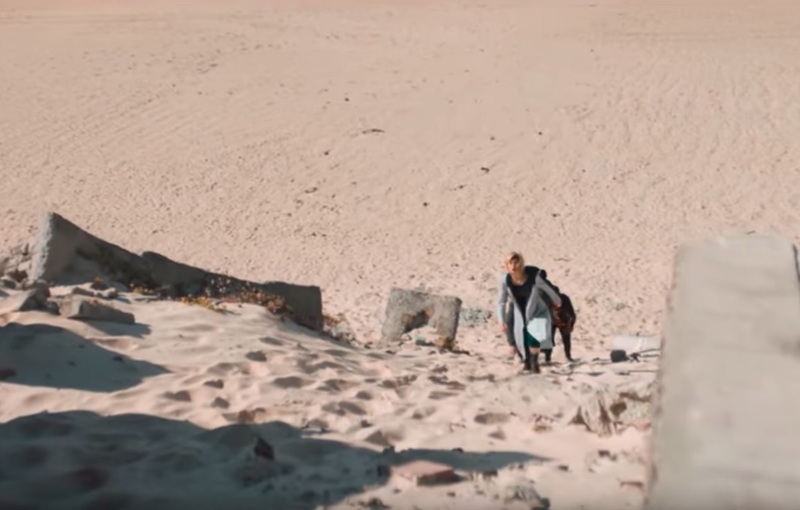 Probably that was a cheap way to film on location, and a kind of location which looks alien to most people since very few of us work in quarries. With the right kind of post-production you can make a rock quarry appear as any kind of anything, right? er... but doesn&apos;t this strike you as the kind of World War II base that was the scene of Sylvester McCoy&apos;s (Doctor #7) episode The Curse of Fenric? Maybe that&apos;s too old-school for most. The Curse of Fenric was set some time in the middle of World War II. The setting was a base on the British coast which was deeply involved in decoding intercepted messages - not explicitly showing The Enigma Machine, but very much like it. Therefore the buildings they dealt with were army barraks and other buildings of this nature. First look at brand new Doctor Who.